Choose a bridge and be there for 10am. Come as yourself. Do NOT meet in Parliament Square. At 4pm, there will be a closing interfaith and non-faith ceremony at Parliament Square. 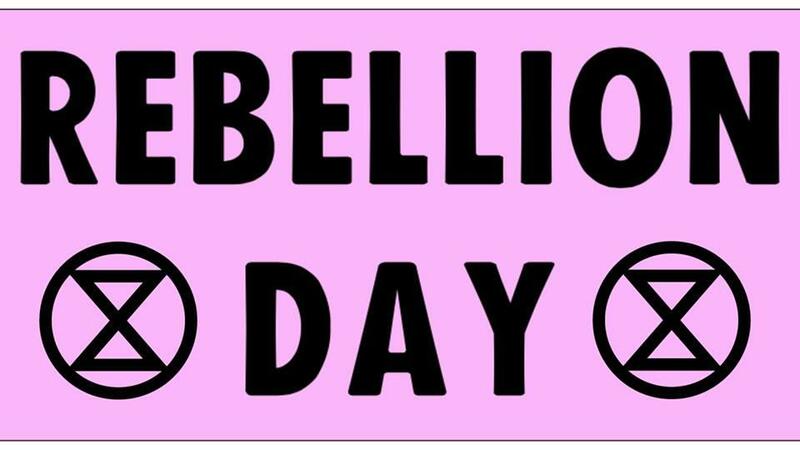 Extinction Rebellion said: “Rebellion Day will disrupt London. It is not a step we take lightly. It is a step we take to bring to light the criminal inaction of successive Governments in their failure to respond to the climate and ecological emergency. Extinction Rebellion demands that the UK government immediately declares a climate and ecological emergency; reduces to zero greenhouse gas emissions by 2025, and creates a citizen’s assembly to oversee these changes.